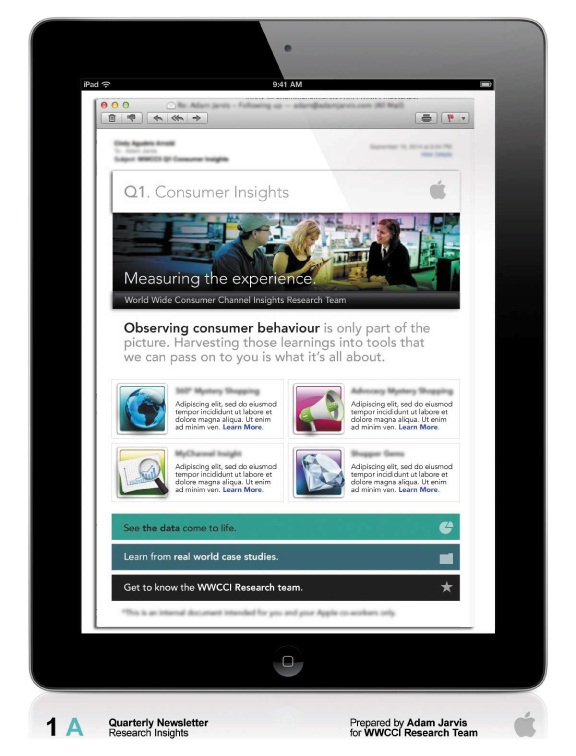 An internal newsletter for the international shopper marketing research division for Apple. One of the greatest thrills in my professional life was to recieve a telephone call from Apple in California. 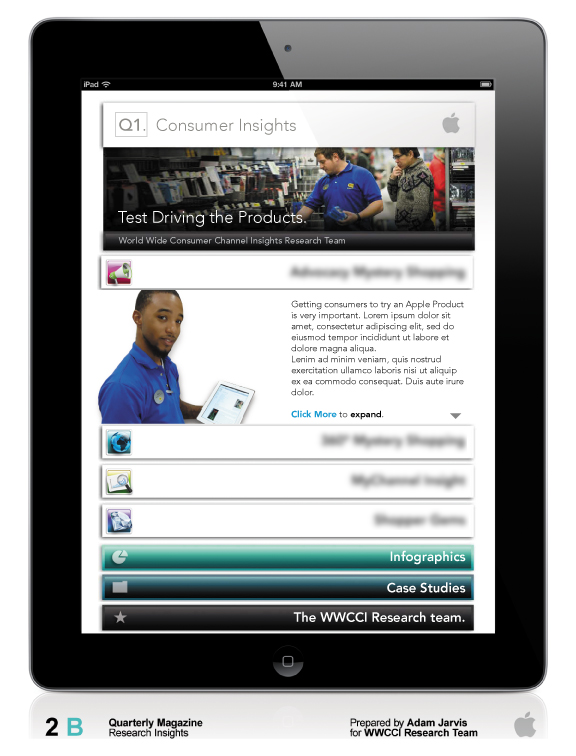 I was asked to work on an internal newsletter template that would be going out to over 1000 Apple employees world-wide. What a thrill. Because of the nautre of my confidentiality agreement with Apple, I cannot show the final design. But what I can say is that the end result reflects the tremendous experience I had working with this great team. Below are some early stages of creative that served as the foundation for this project. 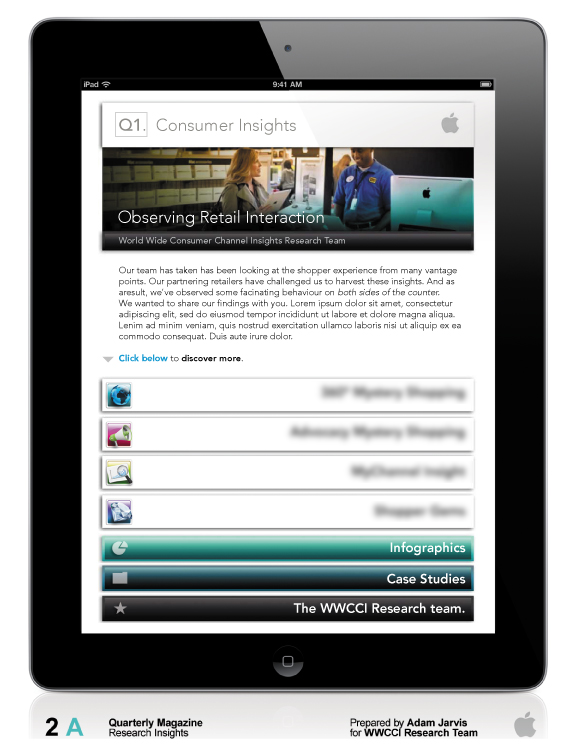 The WWCCI Research Team is an impressive assembly of shopper marketing experts. 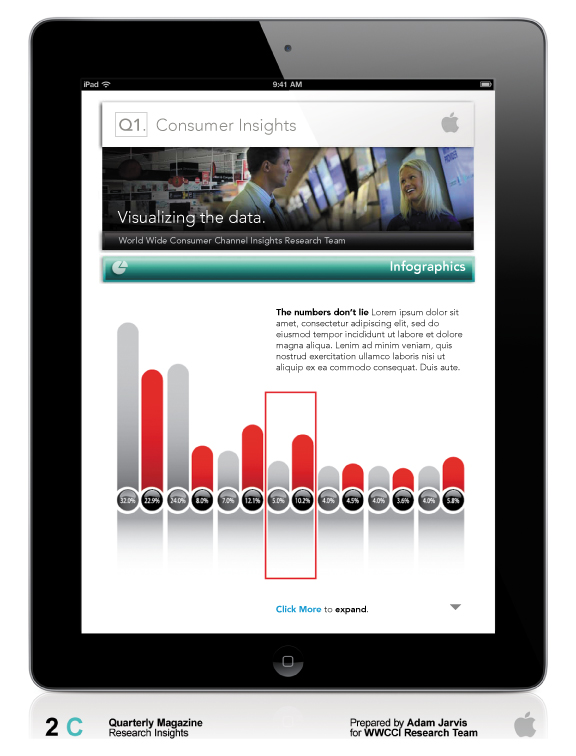 They define this category by harvesting insights and sharing them with their collegues. They required an engaging template that they could modify internally and learn from. Working closely with the head of this department gave me unique insight into this marvellous brand. It was exciting to build a custom structure that featured the depths of their accomplishments. 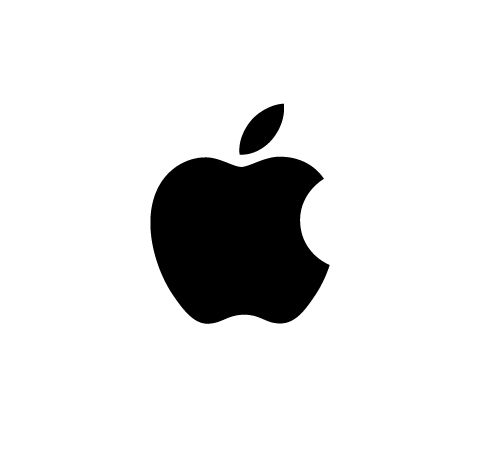 Apple embodies many of the qualities that I have come to admire in a great brand. And the people behind it are what makes it so special. I was lucky enough to get an inside look and help to shape a small part of how they speak to each other internally. A great experience from start to finish. One that I look forward to repeating in the future. *None of this creative was used by Apple. This is merely the working templates that lead to the final newsletter.